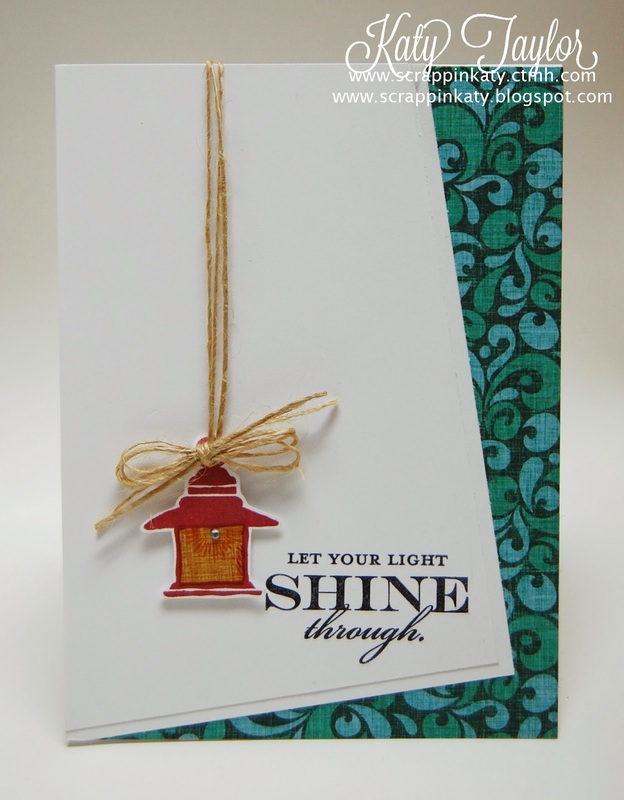 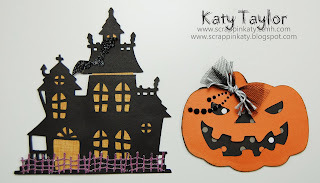 Welcome to November's SOTM Blog Hop using the stamp set, Illuminate! 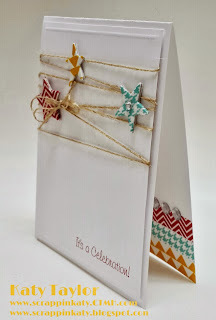 It is ADORABLE and can be used for cards (as you will see below) or even layouts...I'm pictures some fun outdoor social pictures...firepits, campouts & anything else you can think of! 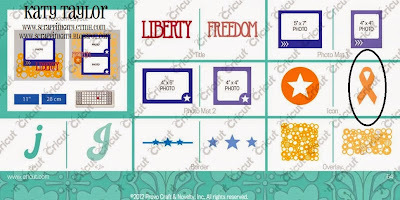 Here's a look at the stamp set...I told you it was CUTE!!! If you've come from Krista's Blog, you're on the right track...keep on hopping 'till you get back around to where you started! 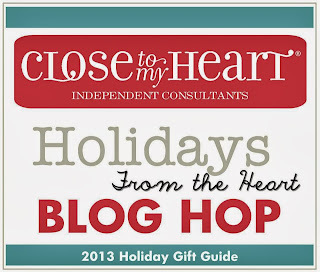 If you're just starting out, you'll hop from blog to blog...there's over 50 this month....'till you get around to ME! 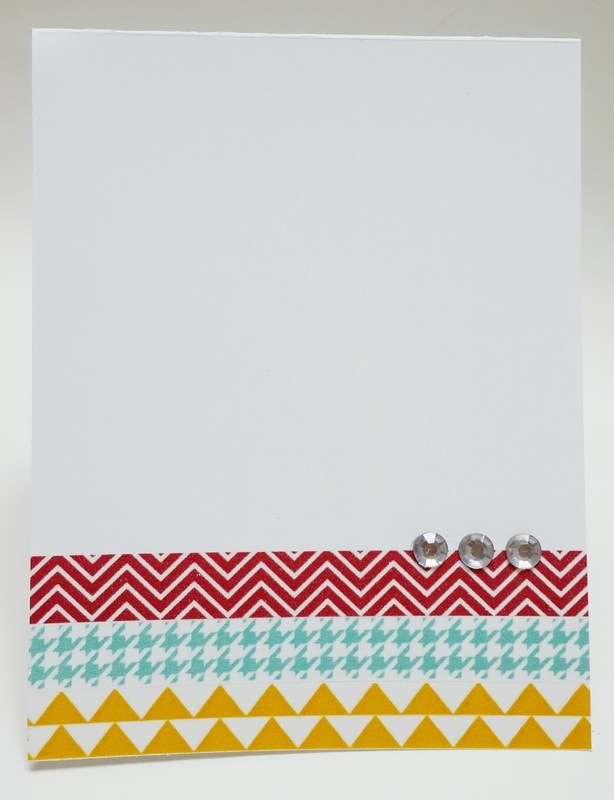 And here's the inside...I decided to go with Washi tape that complimented the colors on the front instead of the exact B&T...I think it's subtle which is what I was going for...plus I wanted an excuse to use WASHI!!!! 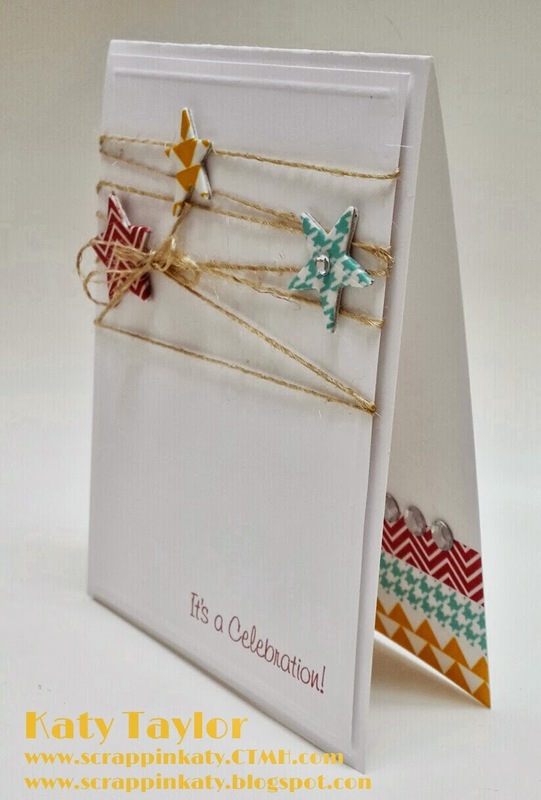 Don't forget you have 'till the end of November to get your hands on this stamp set AND don't forget about the Holidays From the Heart Gift Guide...exciting NEW PRODUCTS!!! I looked up the definition of lace and briefly thought about doing a card "laced" with polka dots using one of CTMH's wonderful Cricut Cartridges but then I decided to do a more traditional form of lace. 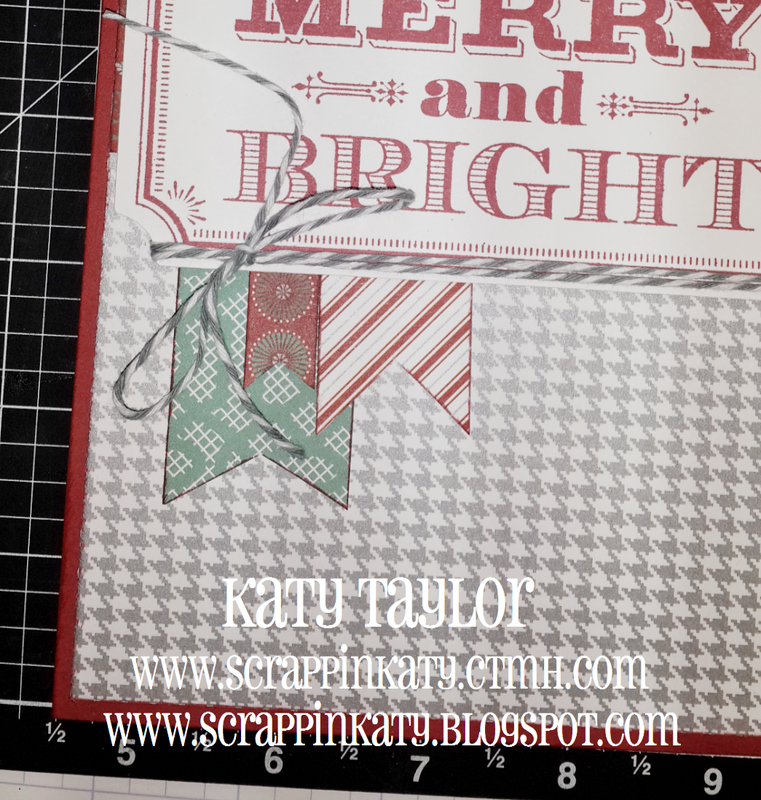 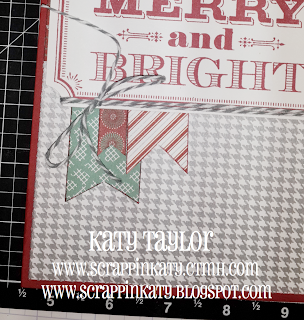 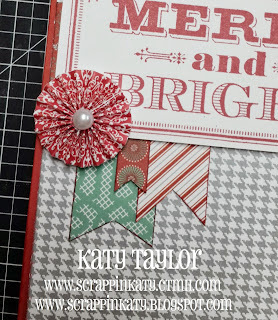 In this card, the Burlap is representing binding which to me is "lacing"...the sentiment is from Banner Wishes...also NEW from the Holiday Guide! 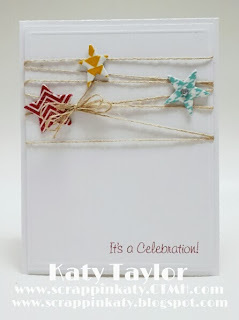 Here are some close-ups to show the dimension - I pop-dotted the card front and covered the DE Stars with our NEW Washi!!! 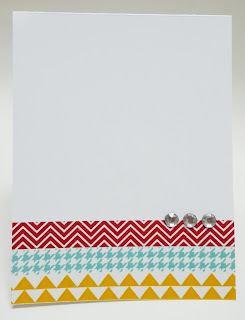 And here's the inside...super SIMPLE...just use the same washi used for the DE Stars and added some Sparkles! 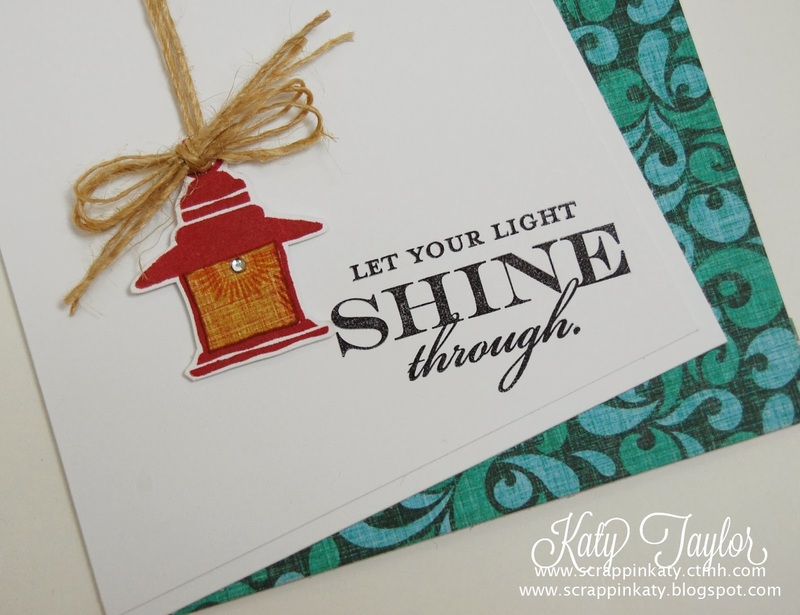 Hope you find a lot of inspiration from our DT and head over to H2H and play along! 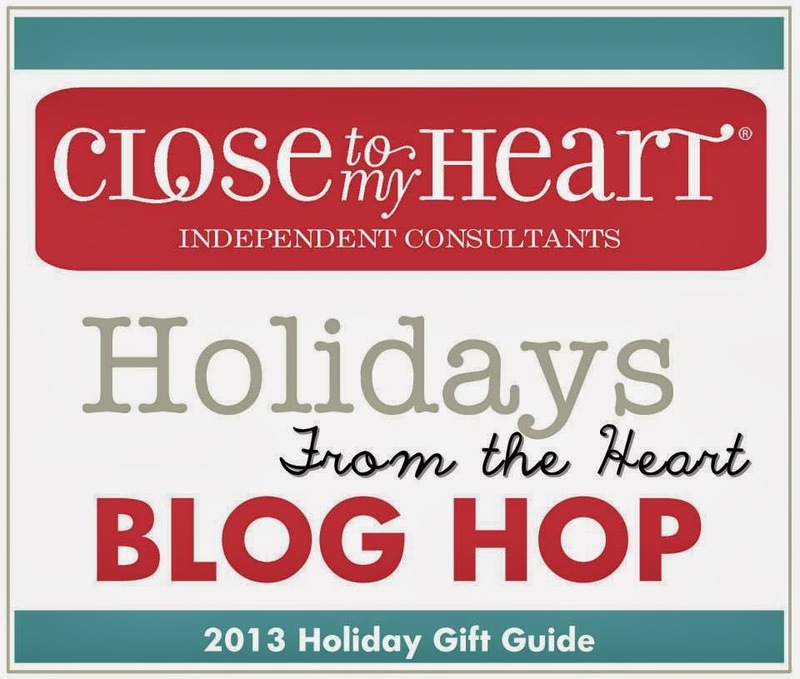 Welcome to the Holidays From the Heart Blog Hop featuring the NEW items from CTMH's Holiday Guide. 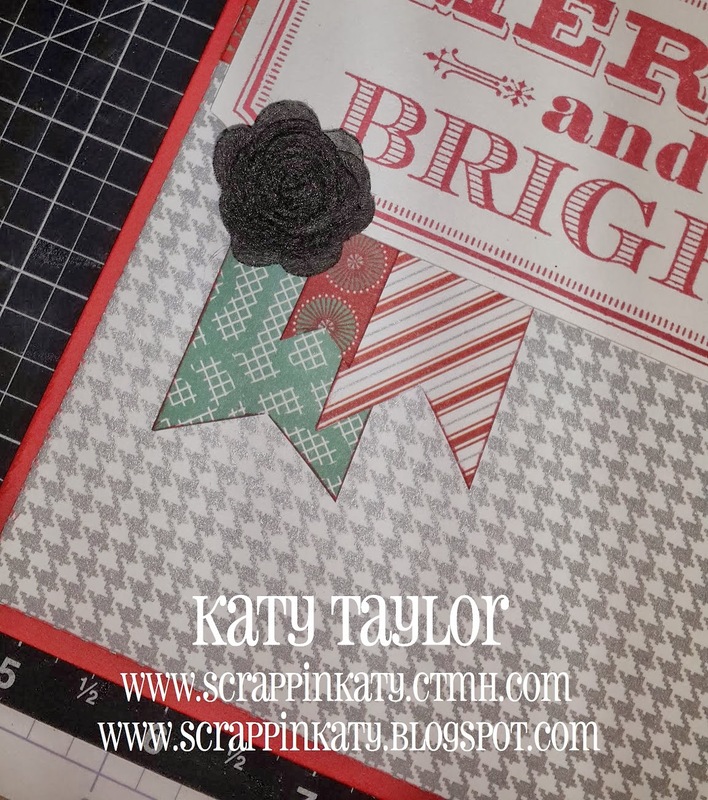 Once you've checked out my project, you will see a whole BUNCH of lovely project links below...go check each and every one out and leave some love! 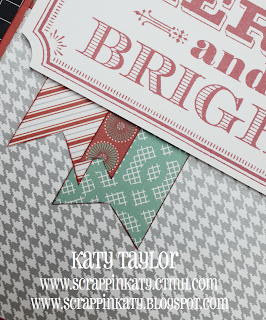 Although the Holiday Guide has non-Christmas products, I keep coming back to the Sparkle & Shine paper packet. 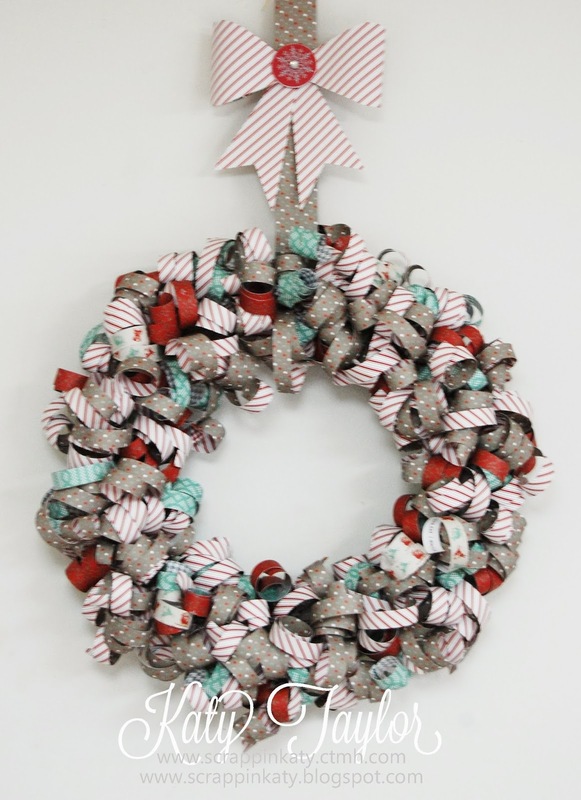 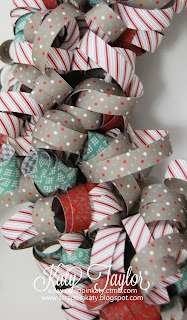 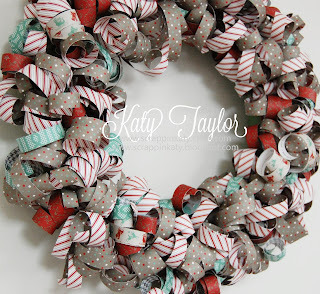 This wreath is a combination of wreaths I've pinned over the past few months. 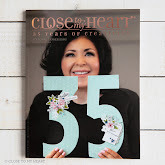 This year, CTMH is issuing a Holiday Guide containing special products for their "Holidays from the Heart" campaign. 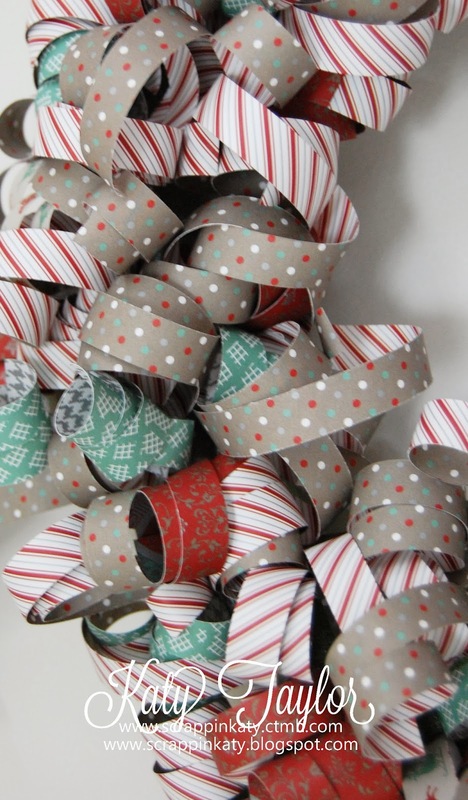 While some of these products are Christmas themed, most of them can be used at any time! 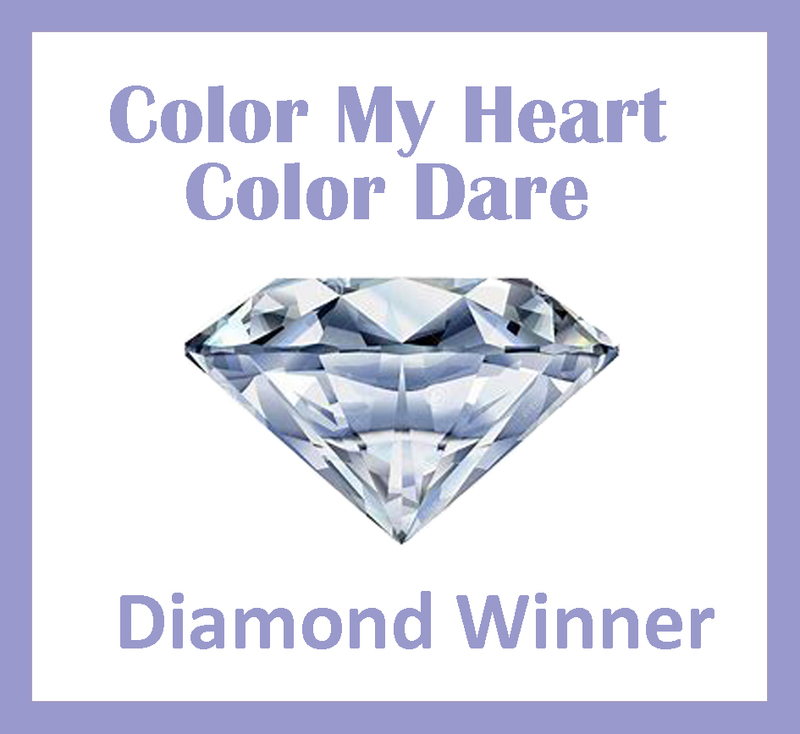 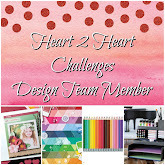 Over 50 consultants decided to do a Blog Hop where you will be able to see TONS of artwork by just clicking your mouse and progressing to the next blog. 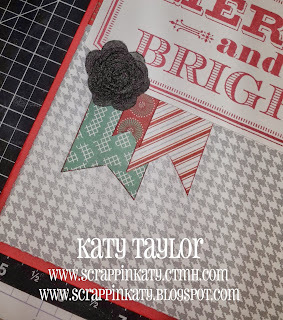 If you've come from Karen's Blog, you're on the right track...just keep hopping around 'till you get back around to where you started! And...while I was making the card, there were a lot of decisions to be made so I thought I'd include you guys on my little "creative process". All it takes is a cell phone that has a camera on it and a little bit of patience. 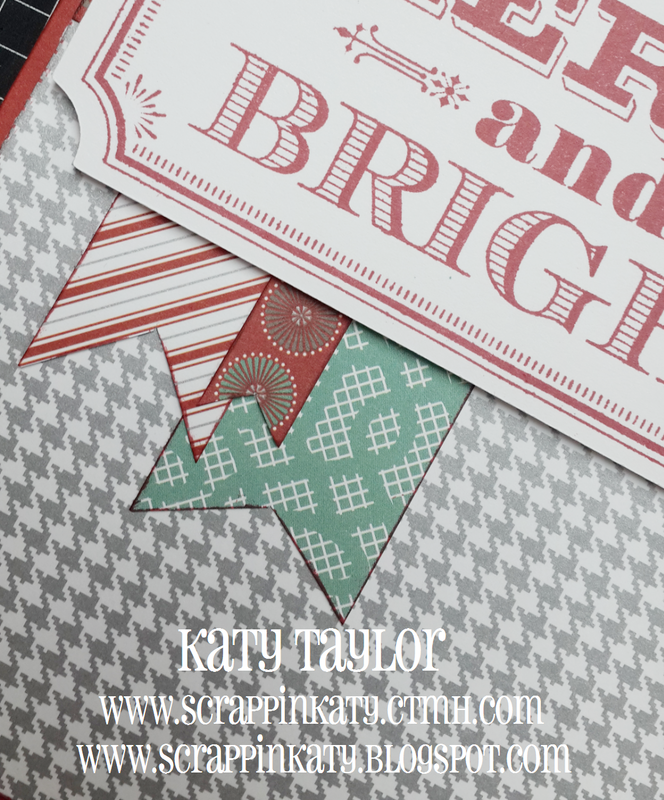 That's all the tips, tricks & hints I have for you EXCEPT one last MAJOR TIP: Get your hands on this Holiday Guide ASAP!!!! 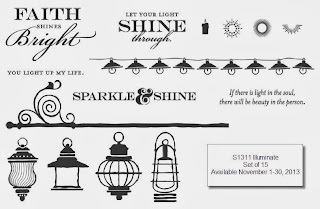 Some of the featured products are while supplies last and we all know what that means with CTMH...it won't last long 'cause everybody loves them some CTMH goodies!!! 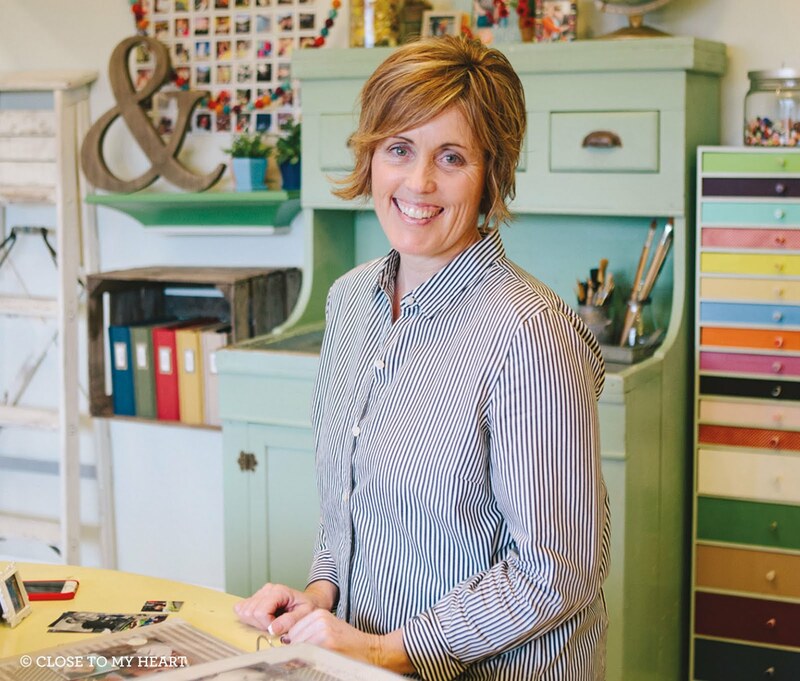 If you don't have a regular CTMH Consultant, leave me your contact information and I'll be sure to hook you up! 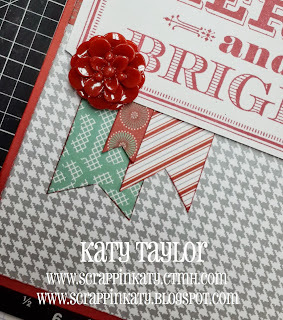 Keep on hopping to Georgia's Blog and see what she has to share...thanks for stopping by! 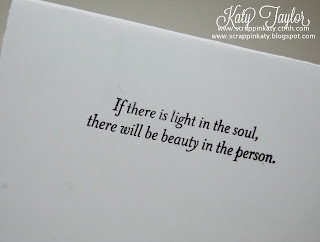 ...'cause I need a man...and my heart is set on YOU! 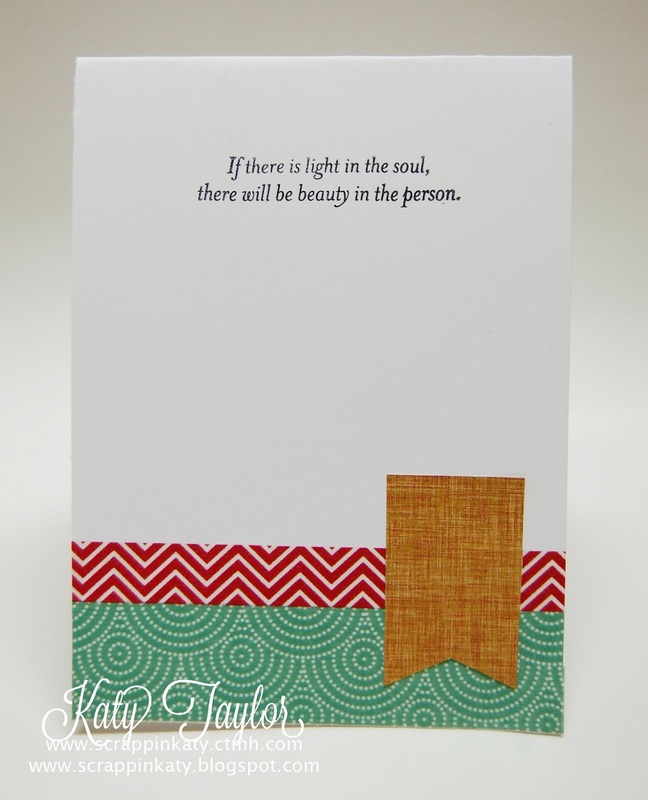 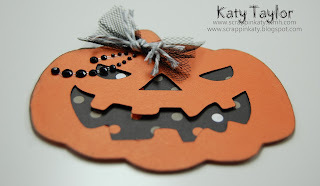 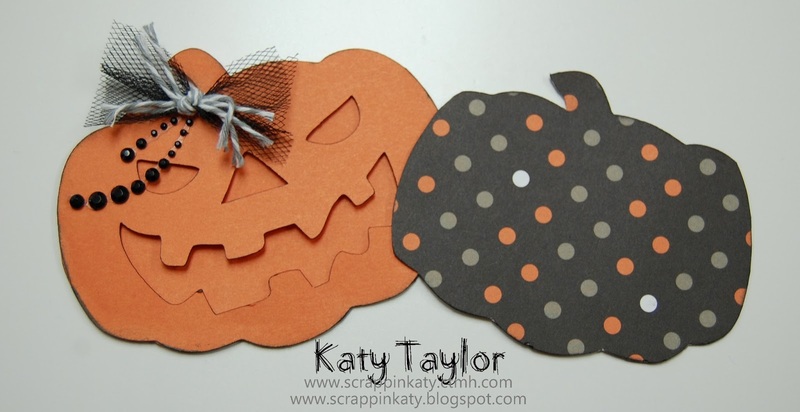 Really though, this week over at H2H we are challenging you to make a card using any shape except a square or a rectangle. I have two cards to share...both made using the CTMH Artbooking Collection! How FUN do these cards look!?!?!?! 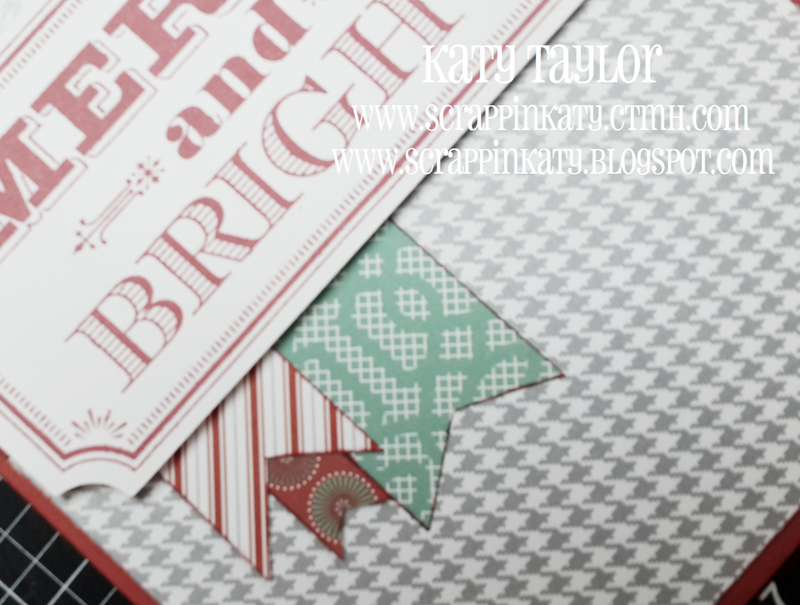 Let me show you some close-ups of both! 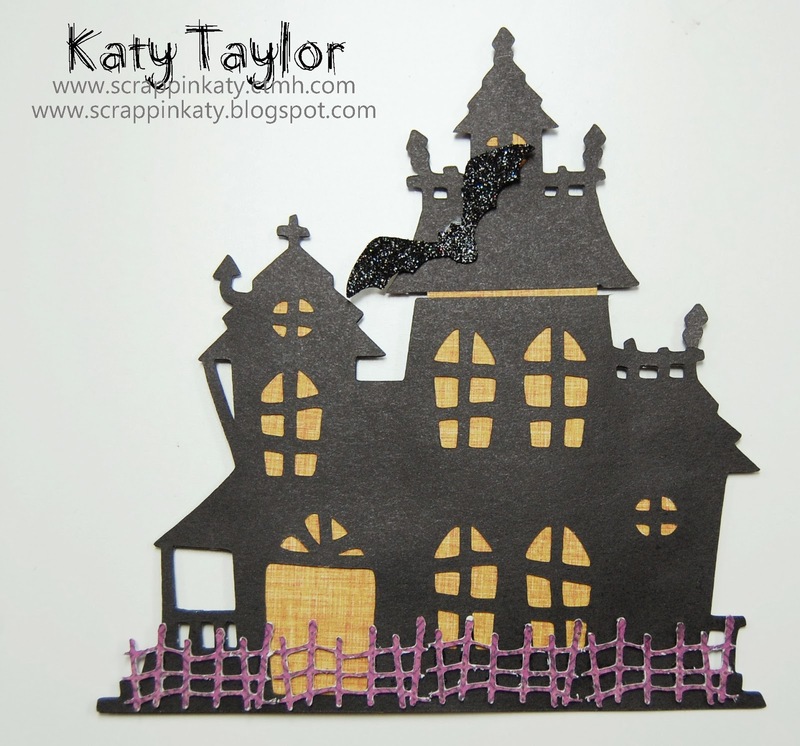 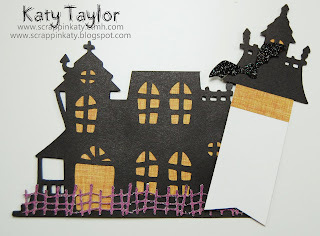 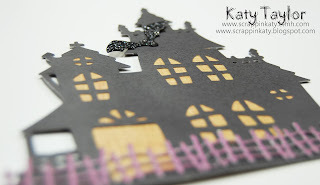 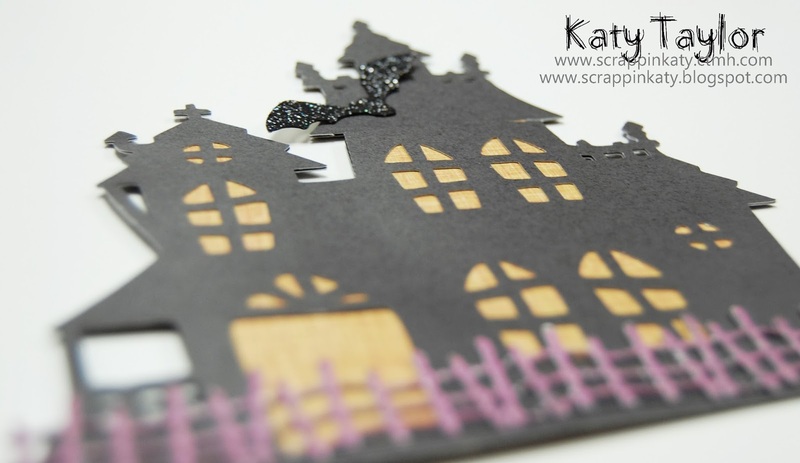 Starting with the "spooky house"....I'm usually all about hiding that little white core that shows through sometimes after cutting with CTMH cardstock but not this time...I let it shine through on my little 4-layer fence...it adds to the spookiness (I think). 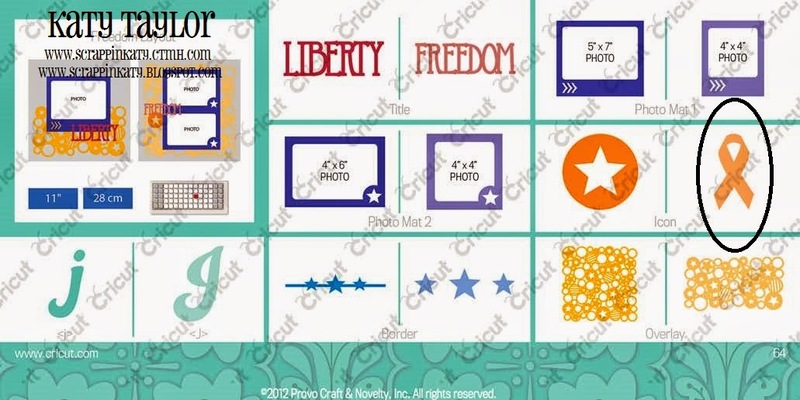 And...on to my 4-layer fence...adhere all your cardstock/B&T pieces together BEFORE you cut...use the multi-cut feature on your Cricut...makes it MUCH EASIER than trying to adhere all those tiny pieces later! 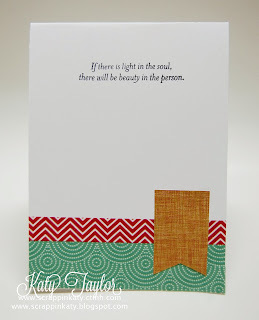 How is this a card, you ask....well, just take a look! 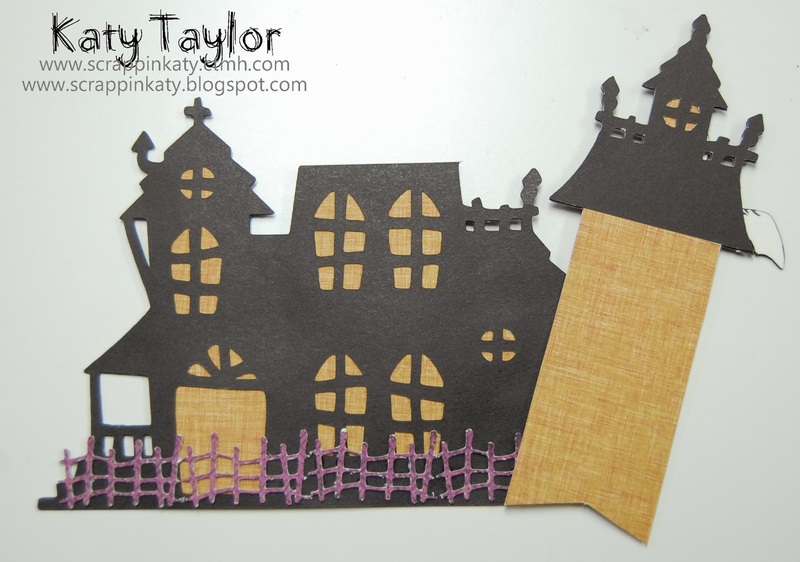 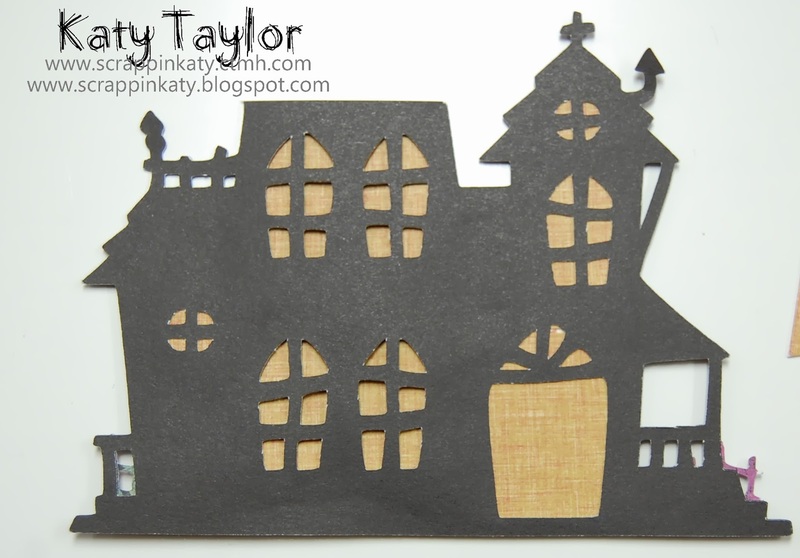 I just cut off the top of the "spooky house" to make a pull-out. Here's a close-up of the "pocket" it fits down into...I made the pocket by cutting 2 of the same image (the spooky house) then I adhered some Surf's Up B&T behind the windows (if you were doing this in CCR, you could hide contour all the windows and then cut 2 of the Surf's Up B&T "spooky houses" then stack all 4 layers on top of each other...remember to leave a pocket when adhering together! 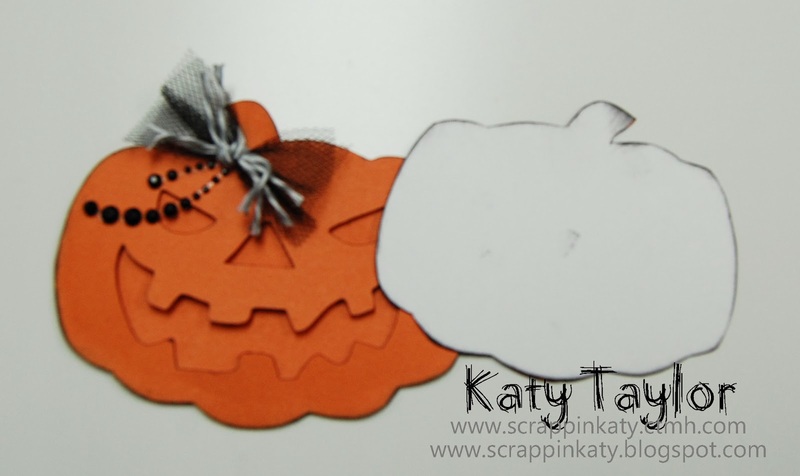 Now on to my pumpkin! 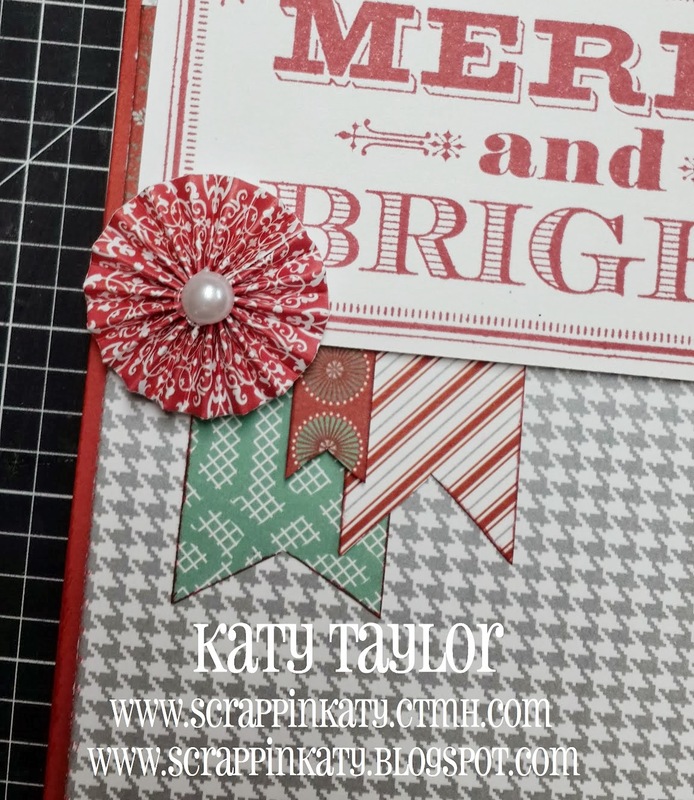 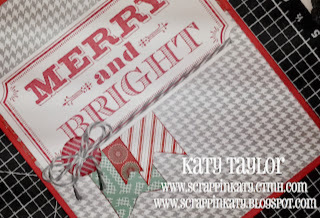 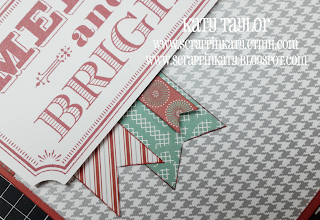 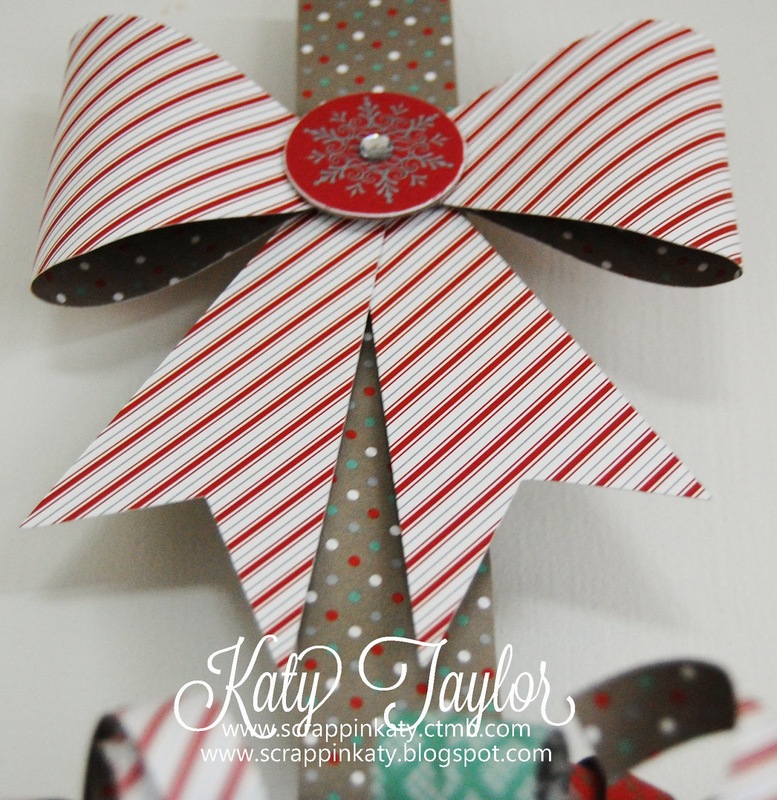 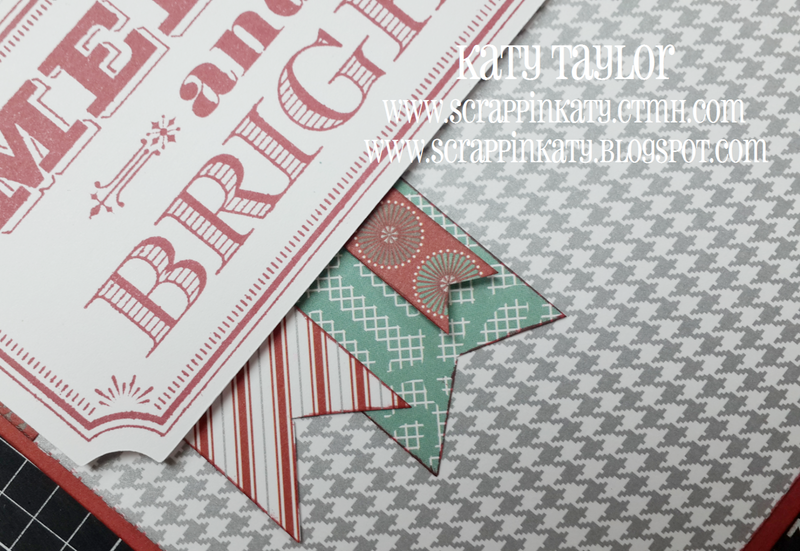 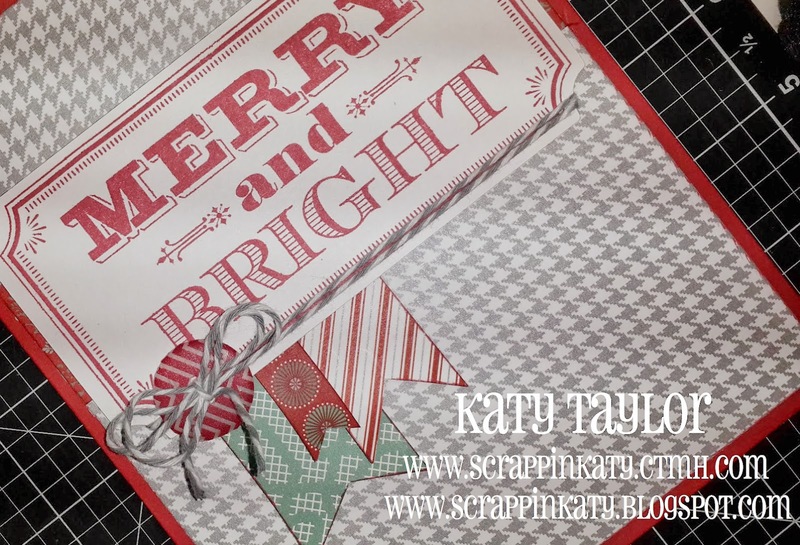 You can get this AWESOME retired paper packet on my website in the "while supplies last" section for only $2.50!!! 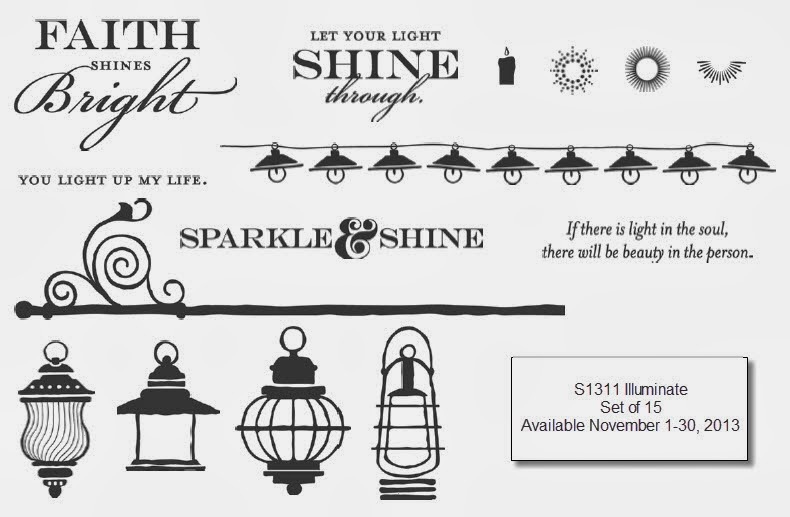 But you better hurry before they're all gone! Too late!!! Here's a close-up...same concept here...I cut 2 pumpkins...one has the "face" and the back side is just a plain 'ol pumpkin. 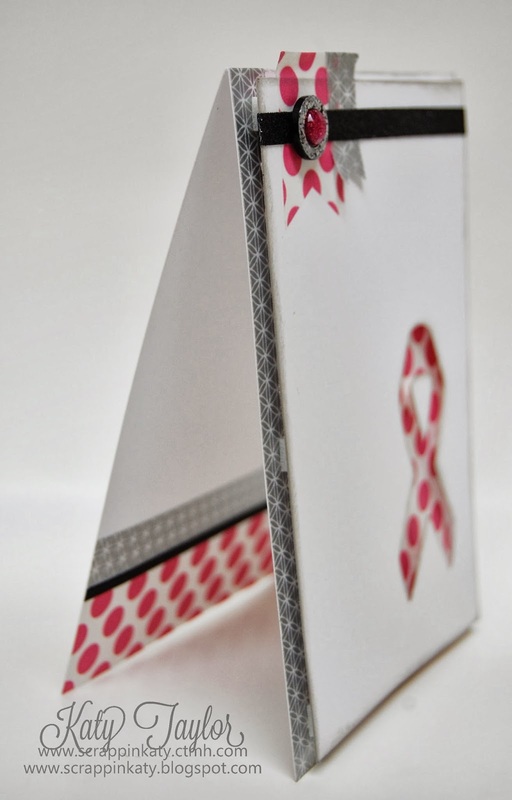 We would LOVE to see what your cards "shape" up to be this month...you have 'till the end of the month to link up your cards! 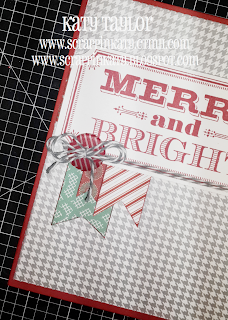 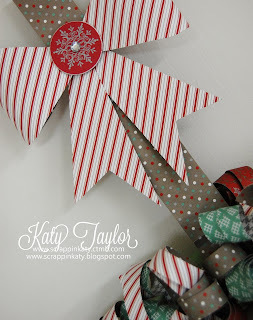 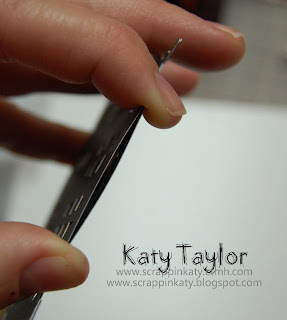 I'm already working on an ornament pull-out card and a snowman so check back to see how it's done! 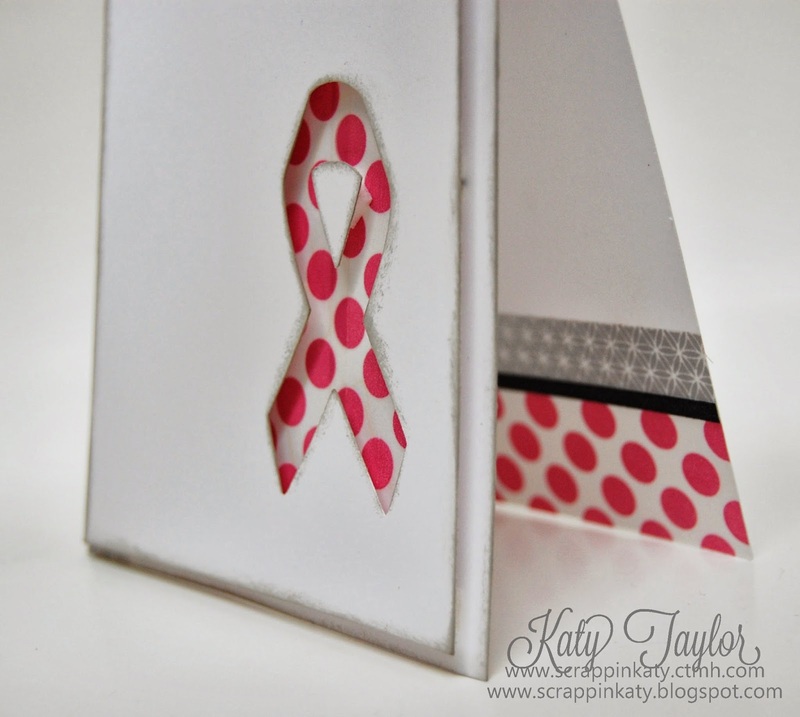 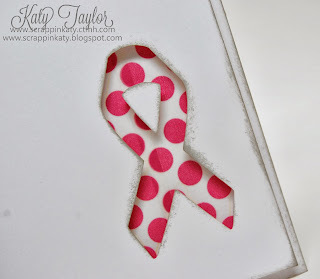 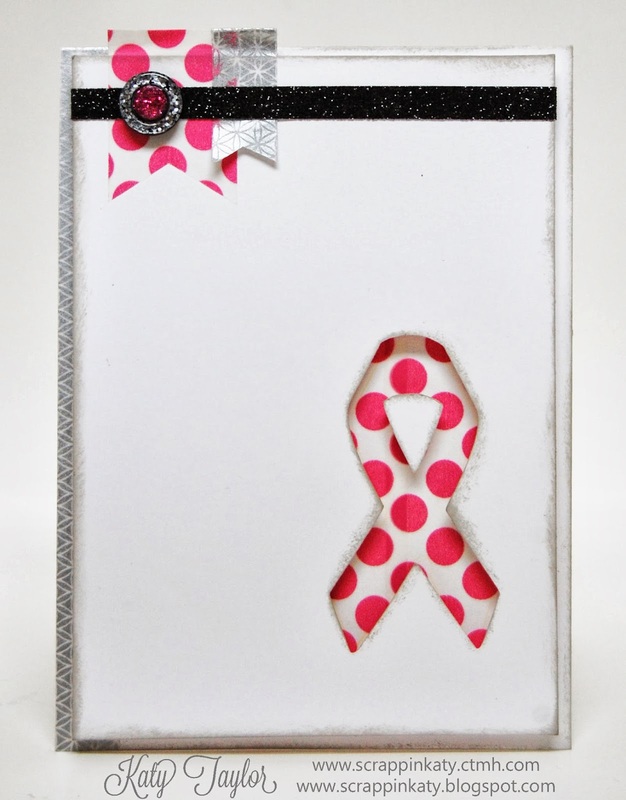 To celebrate Breast Cancer Awareness Month, I made this card using the CTMH Cricut Artbooking Collection and the NEW Party Washi Tape (polka dot) as well as the NEW Sparkle & Shine Silver Washi Tape (both available October 15th). 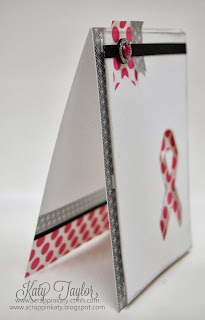 Here's a close-up of the top left corner and the left side which I added Sparkle & Shine Silver Washi tape to...I used the Washi cut in dove tails wrapped around and adhered to the back of the card and I cut a piece of Black Shimmer Trim to a length that would wrap around and cut it down to 1/4" instead of 3/8"...it was super EASY to do with my trimmer. 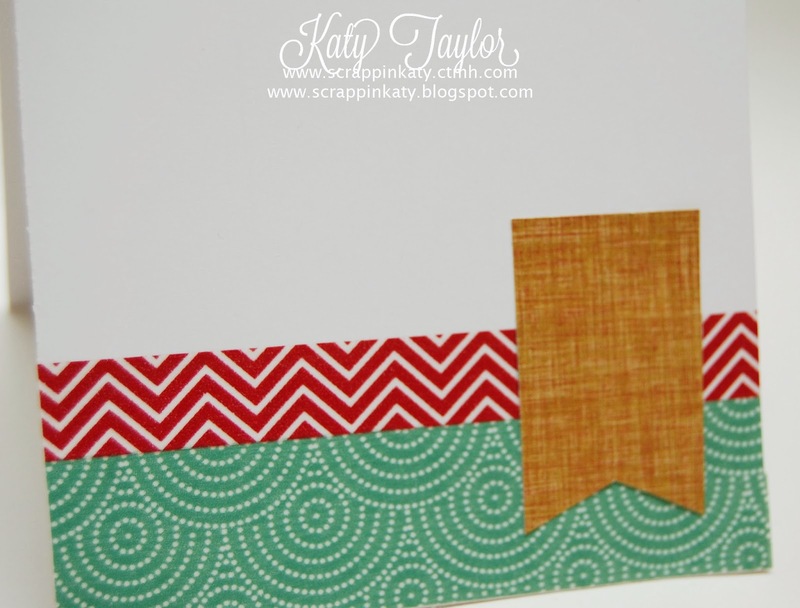 Adhere to your trimmer right over the blade track - this is where you will want to make sure that one edge is at the desired width you're wanting to cut it down to. 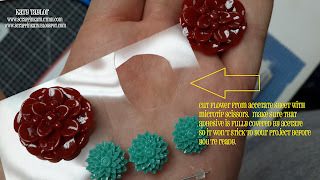 Don't forget to save the other piece too for something else...like the inside! 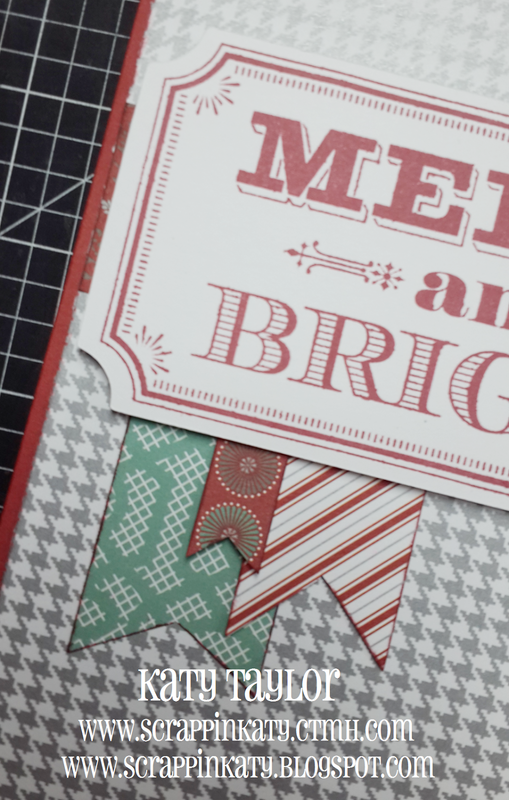 Here's a side view where you can see a peek at the inside of the card using more washi and the thin 1/8" strip I cut from the Glitter Trim. 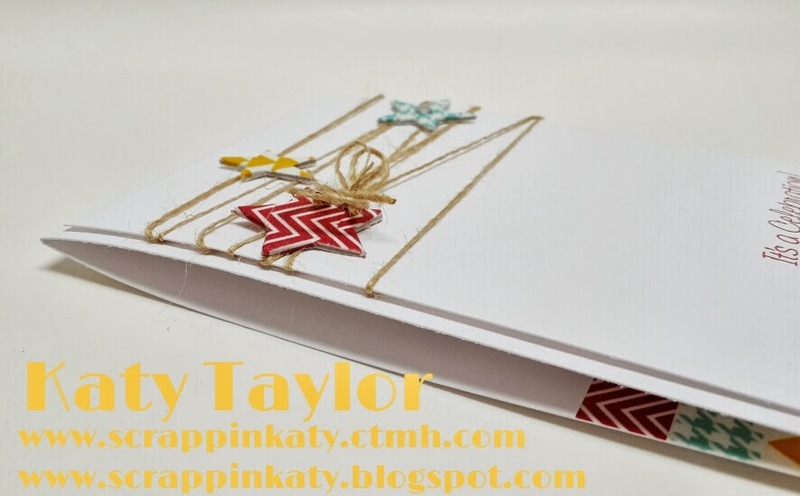 Here's another view of the inside...I left the card blank so you can write whatever you want.